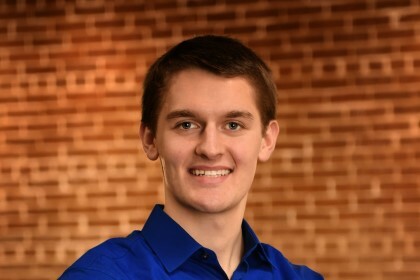 Evan Whalen, of New Albin, Iowa, has been selected as the 2019-20 Western Technical College Student Ambassador, an official spokesperson for Western and the Wisconsin Technical College System (WTCS). Whalen is Accounting program student, who is also a member of Phi Theta Kappa, the honor society for two-year colleges. He is also highly involved in his community, volunteering as a sports announcer at Kee High School, and as an baseball umpire for New Albin’s little league team. In addition, Whalen attends Western full-time while maintaining two jobs.